Queen Himiko has tasked every builder in the kingdom with a prestigious mission: build the capital of Yamataï and make it the jewel of the archipelago. Your task: surpass your competitors and build the most prestigious city of them all, using resources from the fleets that travel through the kingdom. However, you are not alone in competing for Queen Himiko’s favor… will you manage to surpass your opponents? We've got early access to this fantastic new title, so you can own a copy before anyone else. Don't miss out! Unite the Scattered Tribes of Ethnos and Lead Them Into a New Age! Ethnos is a mythical realm filled with creatures big and small. As the last Age ended, war and revolt left the inhabitants without someone to lead them into their future. Players must call upon the support of giants, merfolk, halfings, minotaurs, and other fantasy tribes to help them gain control of the land. After three ages of play, whoever has collected the most glory wins! Oh Captain! is a game of bluffing and deception for three to six players from Ludonaute. You and your friends take on the role of survivors of a shipwreck, saved by a mysterious creature known as the Nukha. Your second chance at life hasn’t quelled your lust for gold though, as the Captain’s order to recover the finest treasures from the Nukha’s den sparks a mutinous idea in the crew’s head: The Captain knows treasure will be found, but not exactly what was found. Design the best bear park! In Bärenpark, players will attempt to build the best bear park not only for the most massive Kodiak bears, but also polar bears and even Koalas! Yes, we know Koalas aren’t bears. But they were too cute to leave out so they’re here! Design the bear park that pleases the most visitors, placing animal enclosures, restrooms and shops to win the game! You've surived Fuse, but your work is just beginning! The flames are subsiding and the smoke is clearing, but there is significant damage to your ship, there are injuries among your crew members, and the life support systems are failing. As the ship’s Medics, you must work together to treat all your patients before time runs out! 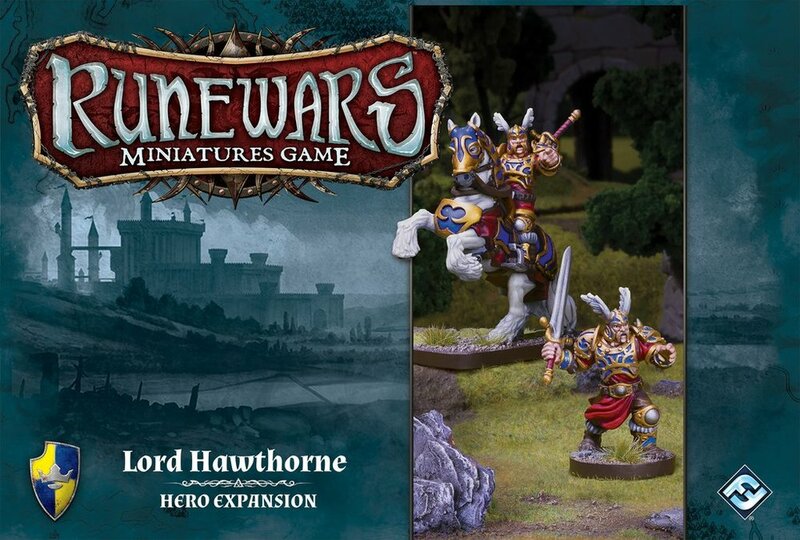 The Lord Hawthorne Hero Expansion includes two different figures for Lord Hawthorne to add to your Daqan army, a cavalry version and an infantry version, as well as six new upgrade cards, four of which will improve any army and two that are exclusive to Lord Hawthorne. Expand your ranks of the undead with the Reanimates Unit Expansion. Featuring eight reanimate plastic figures in four different sculpts, the expansion contains everything you need to add one Reanimates unit to your own army. Guild Ball: First Light of Solthecius! A bottomless well of healing, the Living Saint, Grace, gives self-sustained support to her teammates near and far. Meanwhile, Benediction stands as a devoted guardian, poised to beat back opposing players. Together, the players make their teams as resilient and unwavering as their faith. Whether you find their presence to be a blessing or a curse will depend on your side of the pitch. Become the preeminent shipping magnate! In Le Havre, players take turns amassing goods like cattle and grain brought into port by ship to either upgrade, sell, or use as building materials. Buildings are an investment opportunity as well as a revenue stream, as players must pay to rent building space they do not own. Players must use their goods wisely to build their own buildings and ships to bring in and store more goods. But don't forget to feed your workers! Four powerful decks from Commander history! In the same spirit as previous Anthology products, Commander Anthology gathers four previous Commander products together in one convenient package! The box set includes specialized life counters, tokens, and all cards included in the original decks. In addition, three of the commanders - Derevi, Freyalise, and Meren - have received their first ever foil printing! Yu-Gi-Oh! Maximum Crisis: Special Edition! The walls between dimensions are collapsing! Discover the beauties of the spice trading road. Take on cases from the novels! The eight edition of the Warhammer 40k miniatures game releases this Saturday, June 17th! Featuring an all new, sleeker ruleset, reworked power and point system for models, new combat and more, this is shaping up to be a real game changer! The new starter box set, Dark Imperium, includes 53 beautifully sculpted models, the complete hardback rulebook, two softback supplemental books detailing the background and abilites of the included models, and even more to get you gaming. Heroclix 15th Anniversary: What If? Expand your Heroclix collection with What If? The Marvel HeroClix: 15th Anniversary What If? Booster Brick includes the most iconic Marvel heroes and villains of all time, exactly like you’d expect them to be, and in spectacular alternate versions too. Final Fantasy TCG: Opus II Starter Decks! Jumpstart your game with these starter decks! Featuring familiar faces like Ace and Zidane, the Final Fantasy IX and Final Fantasy Type-0 starter decks are the perfect way to get your game going! Celestia: A Little Help Expansion! Embark and depart for adventure! Bringing a twist to the familiar game, Celestia: A Little Help allows passengers to give the captain a hand, but bluffing and dirty tricks will still show their hand as well! Can you discover the aliens among you in time? In the latest addition to the 'One Night Ultimate' collection, your village has been invaded by extraterrestrial beings. Players take a secret role as part of a team, each with their own win condition. Through bluffing, deception, and astute body language reading, you must determine who's with you...and who's an alien!